Workshops at the TCGSS are designed to teach guitarists a range of skills based on the strengths of our teachers and artists. 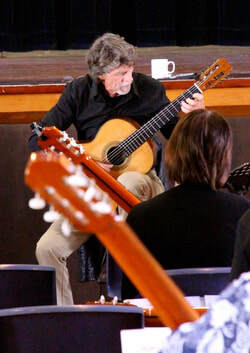 In 2012 workshops ranged from healthy playing techniques to best practice for guitar teachers. Workshops include lectures to hands-on practicals. Based on feedback from 2012 we presented a new range of workshops in 2014 catering to what students wanted as well as drawing on our line up of best loved and novel artists from around the world.